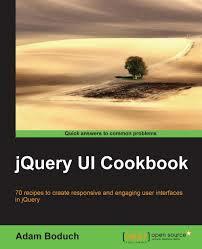 The release of the Autocomplete widget in jQuery UI 1.8 was a pretty important milestone for the jQuery UI team. If you’ve looked at the widget, you may have noticed that there are only four options, far fewer than our other plugins. Unlike progressbar, our plugin with the fewest options, Autocomplete’s small API isn’t a direct result of the plugin’s simplicity. In fact, Autocomplete is quite complex. When designing the Autocomplete widget, we started with Jörn Zaefferer’s Autocomplete plugin, which has 21 options, as a model. Admittedly, Jörn’s plugin does more for you out of the box than ours, but our smaller API is just as flexible and has the bonus of being easier to learn and use. A lot of thought, discussion, and prototyping went into narrowing down the list of 21 options to 4. Out of the box, Autocomplete provides support for local data sources and remote (JSON) data sources by simply providing an array or url to the source option. Support for JSONP, XML, and caching can all be layered on top in just a few lines of code. There’s also a set of extensions hosted by me that provide additional options for the Autocomplete widget. The html option (demo) allows you to specify whether your labels should be interpreted as HTML or text. There’s also the selectFirst option (demo) which automatically activates the first item when the menu is shown, reducing the number of keystrokes necessary to select an option. The autoSelect option (demo) allows a user to type out a valid option and tab away from the field without having to select the item from the menu. If the value entered by the user is valid, the select event will be triggered just as if the user had explicitly chosen the item from the menu. I also have an accent folding extension (demo) that makes it easier for users to select values with accented characters. For example, if there is an item with the text “Jörn”, the user would normally have to type the umlaut in order to see the item. However, if the accent folding extension is loaded, the user can type “Jorn” and they will still see the result. Going a step further, you can use custom data formats and define custom displays. For example, you can categorize the results or display additional information such as item descriptions and images. There’s even an example of expandable search results (Note: this is just a prototype based on a demo from Roman Chyla, it is not full-featured. See the forum thread for more details). You can even support multiple words from a single text field. Finally, there’s the combobox demo that brings Autocomplete functionality to select elements. The combobox hides the select element and instead displays a text field for the user to type in. The possible values are determined by parsing the options from the select, and the user can view all options by clicking a button next to the text field. For a detailed explanation of how the combobox works, check out Jörn’s article on Learning jQuery. 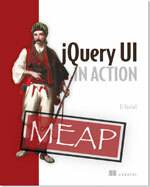 The first milestone release for jQuery UI 1.9 is out, featuring the new Tooltip widget, in active development. Note: the API is subject to change as the code is still under active development. We’d love your feedback on our new Tooltip widget, to help ready it for the 1.9 final release. The API is already in good shape, so if you start using it now, migrating to 1.9 final should be really easy. A fade animation is used to show and hide the tooltip, making the appearance a bit more organic, compared to just toggling the visibility. To help with the design and development of the Tooltip widget, visit the Tooltip page on our Development & Planning wiki. If you have code changes for the Tooltip, fork jQuery UI on GitHub, commit to the tooltip branch, and submit a pull request. Note: please do NOT use the comments section of this blog post for feedback on the Tooltip widget. This discussion should occur on the wiki page and the forum (see How to Provide Feedback, above). If you have feedback on us doing our first milestone release, feel free to leave a comment below. Thank you. Now that jQuery UI is hosted on GitHub, it’s even easier to start contributing fixes to the project. Let’s walk through the easy way, where you don’t need to learn how to really use git. In another post, we’ll cover some best practices for contributing with git. Let’s say you want to submit a patch to the Dialog file, jquery.ui.dialog.js. Enter a Commit Message to summarize the changes you’ve made and why you’ve made them. Be sure your commit message includes 4 parts: the WHERE, the WHAT, the WHY #Num, and the WHY Name. See the jQuery UI Commit Message Style Guide for more detail. NOTICE: The Download Builder and ThemeRoller have been restored to working order again. Thank you all for your patience. We are aware of the problems with the Download Builder and ThemeRoller and we apologize for any inconvenience this has caused. We have disabled those components on our web site until the problems with these components can be resolved. In the meantime, we would like to offer these static links for jQuery UI and jQuery UI Themes. The Development bundle includes code for all jQuery UI plugins and the base theme. The Themes Package includes all 21 pre-built themes from the ThemeRoller gallery. Multiple stable versions of jQuery UI are hosted on Google’s CDN as well as all the ThemeRoller themes for 1.7.2: base, black-tie, blitzer, cupertino, dark-hive, dot-luv, eggplant, excite-bike, flick, hot-sneaks, humanity, le-frog, mint-choc, overcast, pepper-grinder, redmond, smoothness, south-street, start, sunny, swanky-purse, trontastic, ui-darkness, ui-lightness, vader. With Download Builder and ThemeRoller out of commission you will not be able to create custom downloads or themes. We understand that this is inconvenient and we are working as hard as we can to solve the problems as soon as possible. Thank you for your patience! The jQuery UI Team is pleased to announce its second Worldwide sprint, to take place this Friday April 17th and Saturday 18th, 2009. Two full days of testing, fixes, documentation, and general getting-stuff-done. Our goal is ready the 1.7.2 release, so we can start focusing on 1.8 and beyond, and we invite any and all to help. Whether you have an hour, or an afternoon, come and run really fast with us. We’ll all gather in IRC (#jqueryui-sprint on freenode) throughout the two-day sprint, with a couple of scheduled meetings to keep everyone on the same page, and make sure things keep moving. Other than that we’ll just be doing as much as we can, as fast as we can. Opening tickets, closing tickets, breaking stuff, fixing other things, and everyone’s favorite pastime: documentation (and demos). Take a look at last year’s sprint page to see what we accomplished. Absolutely. If you’ve thought about contributing to jQuery or jQuery UI before, but never really found the right moment or momentum, this sprint is the perfect time to get involved. A number of members of the jQuery UI Team will be around to help people get started, especially if it’s your first time. We’ll help you help us, in whatever way you want. That could be testing, documentation, ticket triage, bug fixes, writing demos, contributing to the planning wiki or even just playing with new stuff as we churn it out, and providing valuable feedback. We’ve created a wiki page to help coordinate this big event. It has some more details on what is planned, how to jump in, and will be updated throughout the sprint to show status and next steps. We invite you to add your name to the wiki page as a participant, if you’re interested, even if you have only a few hours (or aren’t sure how much time you’ll have). Also, feel free to specify what you’re willing and/or able to do. Thanks!